Francine hails from the tiny Caribbean island of Grenada and currently lives in France with her husband Lucas, their son Kieran, and their cat Mozaique. She has been making cards since 2001 and scrapbooking since 2002. 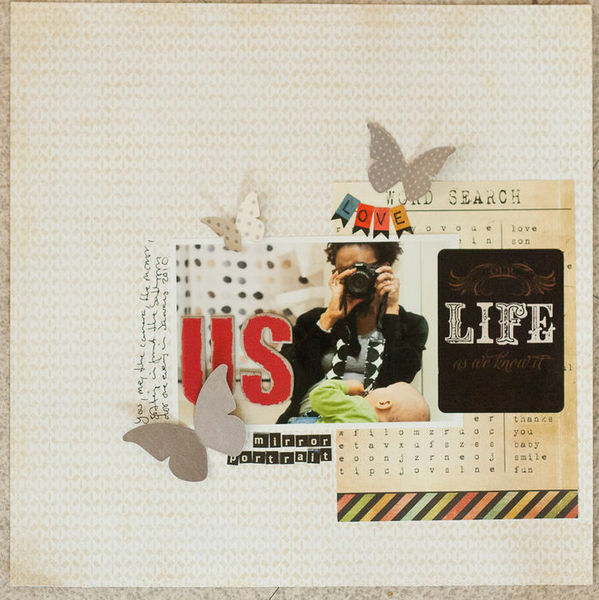 She loves kraft cardstock, graphic patterned papers, buttons, chipboard, stamps and vintage book pages. She doesn’t mind getting her fingers covered in ink and paint, and will try just about any technique once! Her pages reflect her daily life, travel, thoughts and dreams and random moments. She is also an avid amateur photographer, and you will rarely find her without her trusted Canon 350D. Her work has been published in major magazines such as Creating Keepsakes, Simple Scrapbooks and Scrapbook Trends. 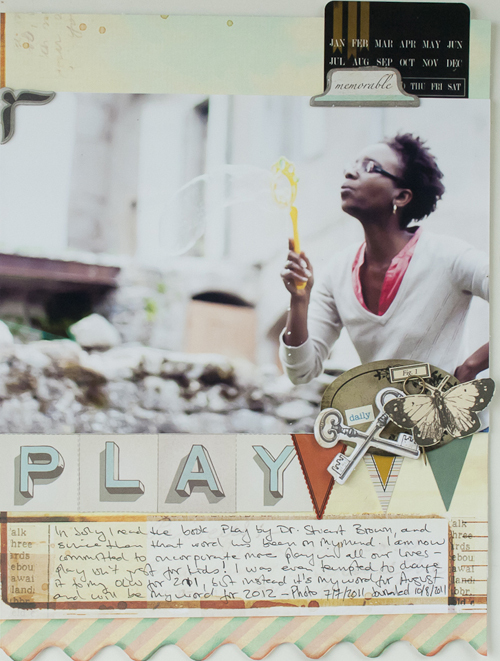 She is the Scrapbooking editor on Craft Gossip, a 2011 Ella Friend, part of the collective at Write.Click.Scrapbook, on the Design Team Little Black Dress, and blogs almost daily at Callaloo Soup .